Process credit cards in USD, and receive the deposit in US dollars without having to convert it into Canadian currency. It's surprising that many business owners don't realize how easy it is to accept credit card payments in US dollars. It quite literally is almost no different to processing payments in Canadian dollars. Further to that, even when businesses process payments in US dollars with services like Paypal, Canadian businesses are often forced to receive their deposits in Canadian dollars. (Funds from the sale are converted from USD into CAD and deposited into your Canadian currency bank account, even though you don't want this conversion to happen). Currency conversion is a significant expense that Canadian (and European) businesses can avoid. It's very easy to process payments in US dollars, and receive the deposit in US dollars into your US currency bank account in Canada. It's important to avoid unnecessary currency conversions because it is expensive to convert from one currency into another. Did you know: Currency conversion fees (FX fees) are usually more than the cost of processing the credit card transaction. A typical merchant will pay a discount rate of about 2% to 3% for processing a credit card transaction. If you walk into your bank with some money and do a currency conversion from US dollars into Canadian dollars you'll pay about 3% to 5% above the mid-market exchange rate for the conversion. FX fees (currency conversion fees) are more expensive than the cost of processing credit cards, which is already a significant cost to business owners. For that reason it's important to be strategic in how you deploy your payments if targeting international customers. This is especially true if your business processes a lot of transaction volume in foreign currencies. What do I need to process and receive payments in USD? A U.S currency business bank account at a Canadian bank. Many Canadian banks offer US currency bank accounts. You don't need to have a bank account in the USA, just a US currency bank account in Canada. These are easy to establish and affordable. Most Canadian banks offer this such as TD, RBC, BMO, Scotiabank, etc. You need to a merchant account provider that can support US currency processing, and will settle your US transactions into your US currency bank account in Canada. Merchant-Accounts.ca is an example of a payment processor in Canada that can handle this requirement. It is not a difficult requirement to achieve. Most credit card processors that specialize in online payments should be able to provide this. When you process a payment you can charge a credit card in any currency that you want (so long as your payment processor supports multi-currency processing). This is the currency that "hits" your customers card. This is called the processing currency. When your payment processors sends you money this is called settlement currency. It's also sometimes called the funding currency. Ideally, you want the settlement currency to be the same as the processing currency, so that you can avoid currency exchange fees. Does your business have costs in USD? If so, it's critical to avoid the currency exchange. If you have costs in USD you are actually penalized twice. The first time occurs as described above when your funds are converted from USD into CAD and deposited into your bank account. Then, it occurs a second time when you convert the CAD funds you've received back to USD to pay your suppliers. If this is happening to your business you should consider the costs you are incurring. Added together you are almost certainly over 5% in costs, and possibly approaching 10% in extra costs that could be avoided by just receiving your funds in USD. Long to short: if you have costs in USD and are converting your Canadian dollars back into USD this is completely unnecessary and is costing your business a lot of money. My payment processor told me that I can't process in USD and receive US funds to my bank account? Some credit card processors such as Paypal enable you to process in USD, but force you to receive your deposit in Canadian currency. Payment processors do this because they earn significant income from the currency conversion fees. There is no valid reason why you are forced to convert your funds. It can be easily avoided by choosing a payment processor that will support direct US currency funding. (Like us at Merchant-Accounts.ca). What are the technical requirements? Is it hard to setup? It's very easy to setup USD funding for your business. In fact, it's the exact same as setting up credit card processing in Canadian dollars. You just have a separate merchant account opened for your US dollar sales. In effect, it's just two merchant accounts. You'll have to different accounts to log into (or two different accounts to send transactions to over the web if you have an e-commerce website). When you send a transaction to the be processed, you just choose to use your Canadian dollar or US dollar merchant account. Let's pretend you have a customer in the USA whom you want to bill $100 USD. For this example we'll pretend you are using a virtual terminal, where you login and key in the order details using your computer. When you login to your control panel you choose your US currency account. Since you are logged into your US account, when you process the transaction the card is charged in USD. If you logged in and had chosen your Canadian account in the control panel the card would have been billed $100 CAD. It really is that easy. It's almost so simple that it's hard to explain: you just login to whichever account you want to use (USD or CAD), and whenever you run a card it will be charged in USD or CAD depending on which account you run the transaction through. For final clarity on this example, as soon as you login to your account the system will ask if you want to use your US currency account, or your CAD currency account. If you choose US currency it means that any transactions you process will be billed to their cards in USD. Similarly if you choose to use your CAD account any cards you charge will be billed in Canadian dollars. It is that simple. Downsides? Things to be aware of? There really are no downsides to processing payments in USD. It allows you to target international customers more effectively, and at the end of the day who doesn't like having some extra USD kicking around? It's always handy whether for business expenses, or even a trip down to Florida... if you have the opportunity to collect payments in USD, and receive your deposits in USD, it generally speaking is a good thing to do. The main benefit is an extraordinarily strong one. It means that you can hold your US funds in your US currency bank account until a day comes when the exchange rate is favourable. When that day comes you can convert your USD into CAD at a good exchange rate. 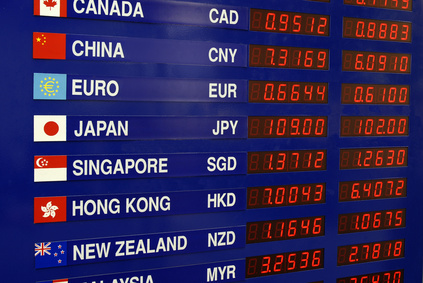 This gives you control over when your currency conversions occur, and much better costs. Furthermore, you can use a FX trading bank or currency exchange broker when doing the conversion to get a much better exchange rate than you would pay walking into your local bank. Holding US funds until a favourable exchange can be received is an important strategy to any business that processes a lot of US dollar sales, and can easily provide many thousands of dollars in savings each year. What about other currencies such as GBP or EUR? If you want to accept payments in GBP or Euro this is something that we are able to help you with. When you get into a diverse number of currencies to accept this adds a little bit of complexity because it's harder to process and settle GBP and Euro from Canada. There are requirements in order to accomplish this. (This is our expertise, contact us to discuss your project). Even if there was no complexity at all, there is still a cost and accounting challenge when holding funds in many different currencies. This is why we do so much consulting in the area of multi currency processing: we are able to help you to reduce costs and deal with all the compliance hurdles of establishing merchant accounts in foreign currencies. I have a US currency bank account in the USA. Can I use that? Although outside of the scope of this article, if you have a US currency bank account at a bank located in the USA it is something that we can help you to use. It's a little more complicated to setup, but doing this has the unique advantage of helping you to avoid cross border fees when selling to US customers. In the future we will explore the cross border acquiring exception that exists between the USA and Canada in a future blog post. Although pricing is outside of the scope of this article, if you are searching for a solution it's very important for you to analyze both the processing costs AND the settlement costs. A lot of merchants can fixate on discount rates. While they are very important, it's only a part of the picture. It is absolutely worth paying a slightly higher discount rate if you can get a huge savings by preventing currency conversion fees. (Although in an ideal world you'll be saving on both the discount rate and avoiding currency conversion fees!). The reality of multi-currency payment processing is simple: it's almost always better to process money and receive funds in the same currency. The problem is that sometimes it's not possible because some credit card processors support a limited number of payment currencies, and an even more limited number of settlement currencies. Multi-currency processing is our core expertise of Merchant Accounts.ca, and if you are shopping around to establish a payments solution we hope you will include us as one of the options to consider. Beyond just the scope of USD and CAD, it's worth noting that we work with clients that have a diverse, global range of currencies that need to be supported. Processing in USD is very common, and simple to support. If you are advertising in US dollars, or targeting US customers, there is simply no reason to avoid accepting payments in USD, and once that's done there is no reason to accept settlement into your bank account in any currency other than USD. And as a last note I'll just point out that as a Canadian it's always helpful to have some extra US funds kicking around. So if you should happen to take a vacation to southern California in a dreary part of winter with all your extra USD savings... you can thank me for it later!